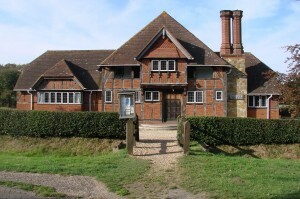 Rotherwick Village Hall, Hampshire, is one of the most attractive halls in the country. 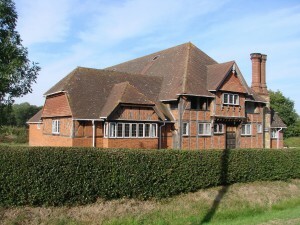 Built in 1932 in a traditional style it is set in the centre of this small village, and comprises the main hall and kitchen, together with a smaller committee room which can be hired separately. 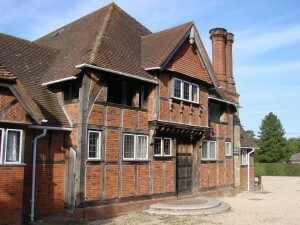 The hall has undergone a programme of refurbishment over the last few years, including redecoration, new lighting, refinished floor and upgraded toilets. It is owned by a charitable trust and managed by a voluntary committee, together with a part time caretaker and part time booking secretary. It is used most days of the week for regular clubs such as Badminton, Indoor Bowls, Mothers and Toddlers and Dance classes. It is also hired for events such as Wedding Receptions, Parties and Barn Dances, and has been used several times as a film location. Please note that the availability page is updated automatically so will likely be more up to date than this.